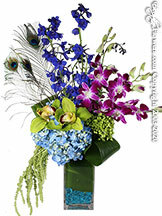 Avante Gardens, a local Florist located in sunny California offers the best in unique floral designs, custom flower arrangements and flower delivery since 1984. 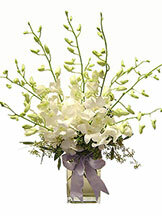 We offer award winning floral designs for everyday occasions, and special events. 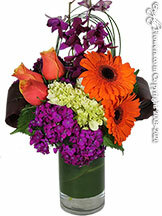 Order our customer favorites including the Bright Sorbet with its orange roses orange gerbera daisies and stunning purple orchids with its curved grouping of bear grass. 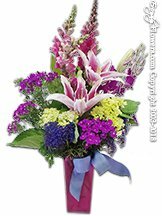 The Avante Gardens Smiles Bouquet is a traditional one sided arrangement with six different color choices including Whites, Creams & Greens, Pinks & Lavenders, Blues & Violets, Yellows & Oranges, Pastel Profusion, and Vibrant Brights. One of the reasons why these designs are so popular with our customers is because they can be sent for any type of occasion. 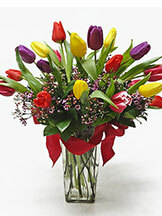 Our Colorful Blossom arrangement is another perfect example of our customers favorte flower arrangements and can be sent for any type of occasion. 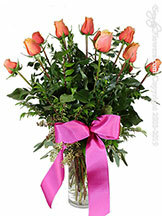 Whether it be a gorgeous bouquet of roses for that special someone, or a spectacular arrangement for a newborn baby, your Florist in Orange County CA has you covered in style. When it has to be special, trust Avante Gardens. Our website features many designs that you simply cannot find anywhere else. Our designs are special because they are our own!. 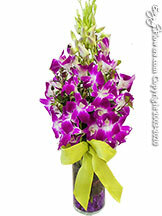 Our Flowers in Orange County CA have been featured in such publications as InStyle, Modern Brides, and Flowers&. 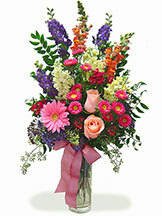 Prompt delivery of flowers, floral arrangements, roses, plants and gift baskets to all businesses, residences, hotels, hospitals and funeral homes in Anaheim, CA Anaheim Hills, CA Brea, CA Fullerton, CA Orange CA Placentia, CA Yorba Linda, CA La Habra, CA Buena Park, CA Garden Grove, CA Stanton, CA Santa Ana, CA CA Tustin, CA Villa Park, CA Irvine, CA Newport Beach, CA and Costa Mesa, CA with order transfer service available to the U.S. and Worldwide. Read our customer reviews on Yelp, Google Places and learn why our florist in Orange County CA is the perfect choice for your flowers and gift-giving.